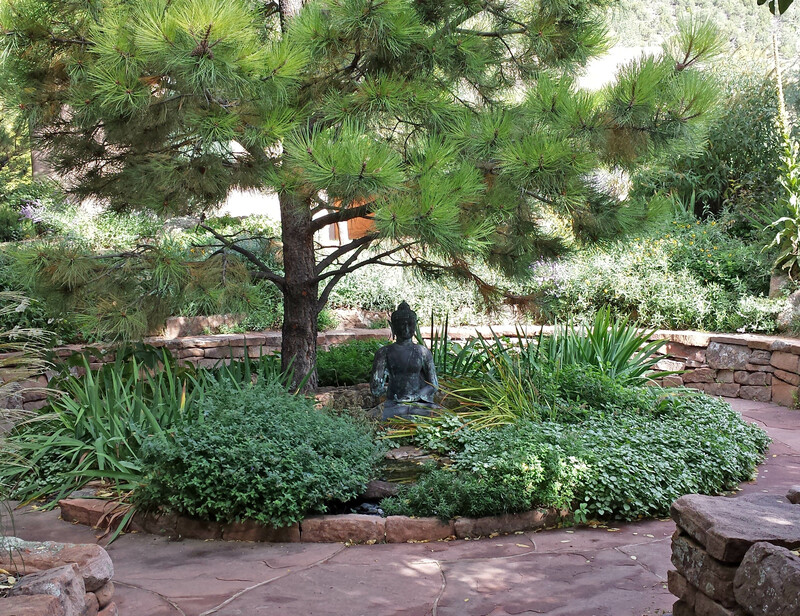 I spent four nights at the Upaya Zen Center* in Santa Fe, New Mexico, at a workshop with Natalie Goldberg and Wendy Johnson: Sit, Walk, Write. It was a nice antidote to driving, and to being on my own, too. I had people to talk too. Though the workshop was more a retreat, and we spent a good part of the day in silence, so a little irony there, from my perspective. But it worked out just fine. I liked the companionship, but didn’t mind not having to go through the usual conversational challenges of who are you, what do you do, why are you here. That came out through the writing that we shared, and no, none of it will be shared here, mine or anyone else’s. What I heard in Santa Fe remains in Santa Fe. 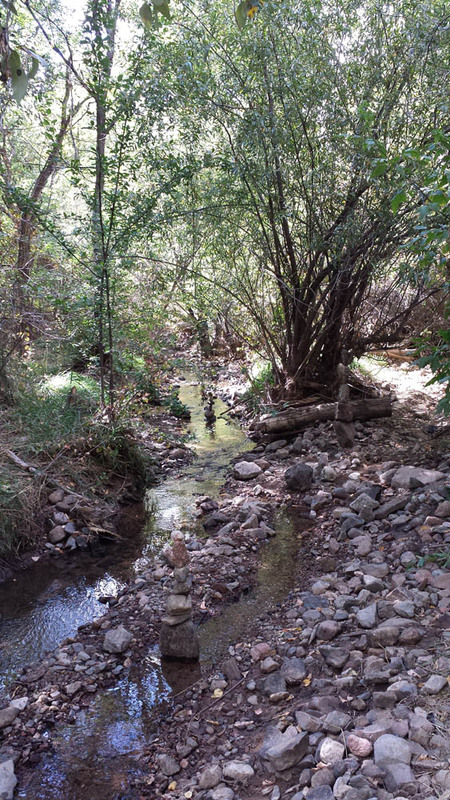 The Santa Fe River flows below Upaya. Not what I at first recognize as a river, but it reminds me that rivers have to start somewhere. Like everything. Continuous Practice is the idea that I take away, for both my elementary meditation (quieting the mind, paying attention to my breathing) and for writing (quieting the monkey mind, and getting words out before inner editor gets to work sabotaging the process). It’s not that I didn’t know this already, but for some reason, I need to relearn the basics from time to time. Keep the pen moving. That’s to be my continuous practice. * I generally use the ‘re’ spelling; ie centre, not center. Call it Canadian spelling, although I recognize that both er and re are acceptable in Canada, given the amalgam of British and American influences. So it’s my preference. But if it’s in a name, upper case and spelled Center, well, that’s the way I’ll spell it.